Kathmandu, Nepal: Senior leader of the Nepali Congress Bijay Kumar Gachchhadar has been nominated as the vice-president of the party. A meeting of the Nepali Congress’s Central Working Committee held on Tuesday decided to nominate Gachchhadar in the coveted post as vice president of the party. Gachchhadar had formed Madhesi Janadhikar Forum (Democratic) by quitting the Nepali Congress in 2008. 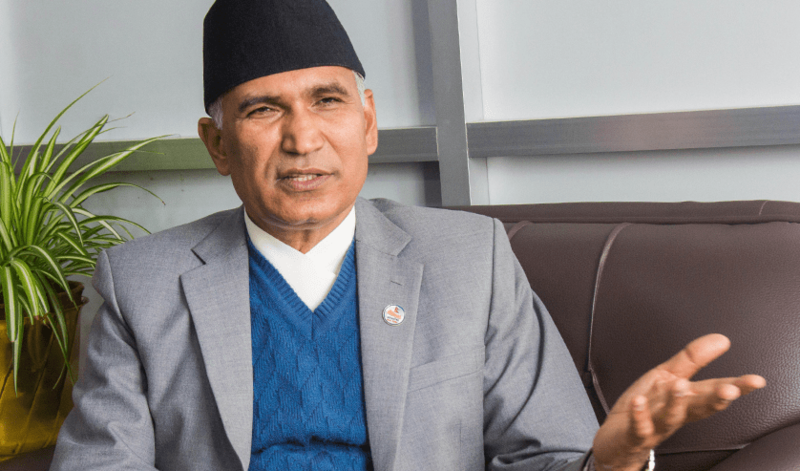 But he had re-joined in the party in 2017 with the Nepali Congress. Though the appointment of Gachchhadar as vice president is not made a matter of headache, the dissident leaders have opposed the procedure to appoint. Likewise, the meeting has also decided to postpone the Mahasamiti meeting until mid- December. According to the decision, the meeting will be held on December 14-18. Earlier, it was decided that the Mahasamiti meeting will be held in Kathmandu from November 21 to 25. It is said that the unsettled issues related to the statue of the party was the reason to postpone the meeting.